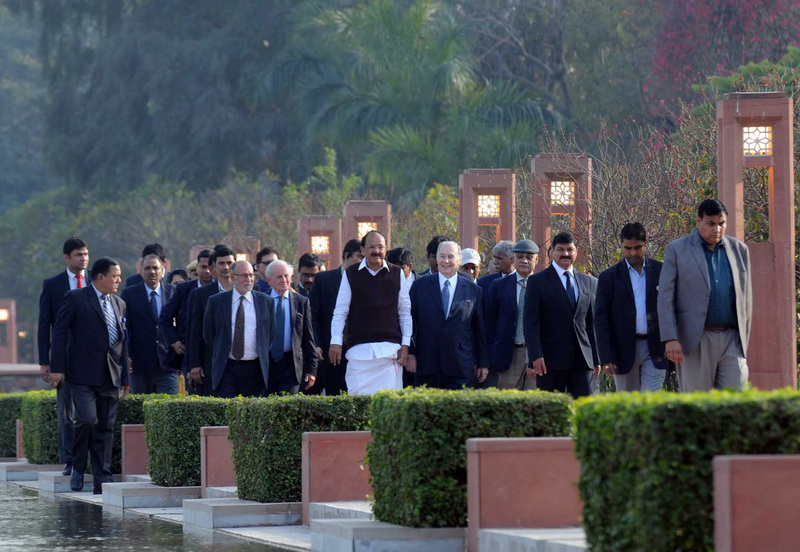 The Vice President, Shri M. Venkaiah Naidu going around the heritage garden complex Sunder Nursery, in New Delhi on February 21, 2018. His Highness Prince Karim Aga Khan, the Lieutenant Governor of Delhi, Shri Anil Baijal and other dignitaries are also seen. 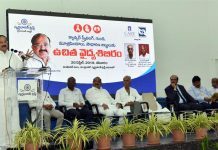 New Delhi: The Vice President of India, Shri M. Venkiah Naidu has said that Innovative blending of heritage restoration, environment protection & employment creation is the best way forward. He was addressing the gathering after inaugurating the 16th-century heritage garden complex Sunder Nursery, here today. His Highness Prince Karim Aga Khan, the Minister of State for Housing and Urban Affairs (I/C), Shri Hardeep Singh Puri and other dignitaries were present on the occasion.